In many ways, this sprawling graveyard is a place of contradictions. Somber … yet striking in its beauty. A rambling resting place for the dead … yet as much a museum as is the Louvre. A peaceful place of reflection and communion with those who have left us … yet a public park where Parisians sometimes go to pass a sunny afternoon and share a picnic lunch. A mosaic monument to some of the greatest personages of French history and culture … yet one dappled with the resting places of foreigners, too: Polish composer Frédéric Chopin, Romanian composer George Enescu, German artist Max Ernst, Greek opera singer Maria Callas (until her ashes were stolen, later recovered, and scattered over the Aegean), Italian artist Amedeo Modigliano, even Dominican dictator Rafael Trujillo and, of course, Irish novelist, poet and playwright Oscar Wilde (so don’t forget to bring your lipstick so you can pucker up and leave your mark on his tomb in keeping with long-standing tradition). Of course, there also are many Americans interred there, and that is why I took my fourth trip to Père Lachaise last Saturday afternoon, so I could find their graves and tell you all about them … well, about six of them and about the mystery surrounding the seventh. 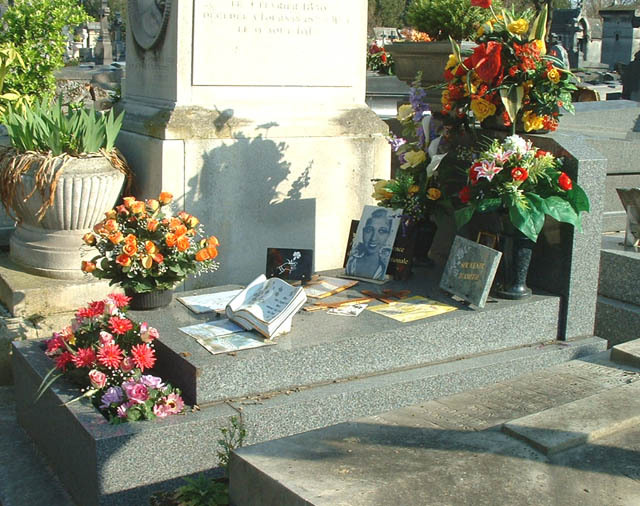 The most famous American interment at Père Lachaise is most certainly that of Jim Morrison, the singer of the musical group the Doors, who died in Paris in 1971 at the age of 27. The cause of his death was subject to some controversy, but it was suspected (and is generally accepted) that he died of a heroin overdose. Morrison’s final resting place is located just off Chemin Lesseps in the 6th division. 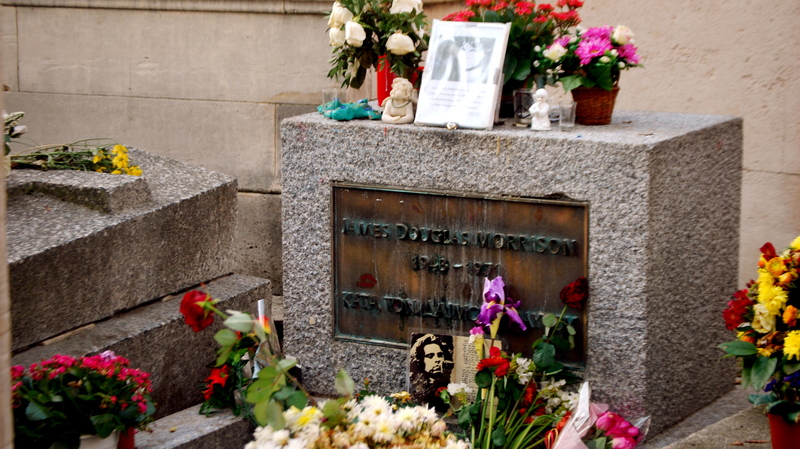 The stone that marks his grave is not the original placed by the City of Paris; it was stolen in 1973 and the grave remained officially unmarked until the tenth anniversary of his death in 1981, when Croatian sculptor Mladen Mikulin erected a stone monument bearing Morrison’s name and a bust in his likeness. That monument was also stolen in 1988. Morrison’s father erected a new monument some years later, which includes the Greek inscription “ΚΑΤΑ ΤΟΝ ΔΑΙΜΟΝΑ ΕΑΥΤΟΥ,” meaning “according to his own daemon” (“daemon” connoting a minor deity or guiding spirit). The gravesite has security at all times to prevent further vandalism or theft, but visitors still come by to to pay their respects by leaving little offerings. 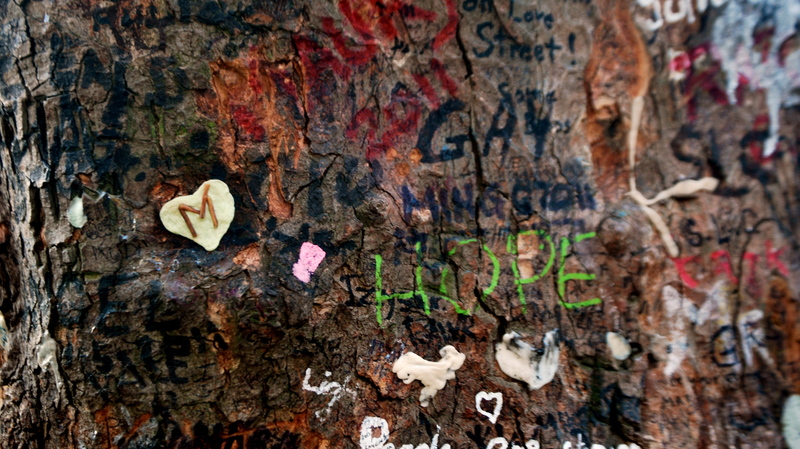 The most interesting ones for me were the little hearts made from chewing gum affixed to a tree just beside the grave. Jim Morrison was actually the last of the American grave sites I visited on Saturday, so working my way backwards through the course of my visit, we arrive at the grave of Judah P. Benjamin, in the very center of the 15th division not far from Morrison’s grave. Benjamin is an interesting and controversial figure because, not only was he an American, he was also a Confederate. 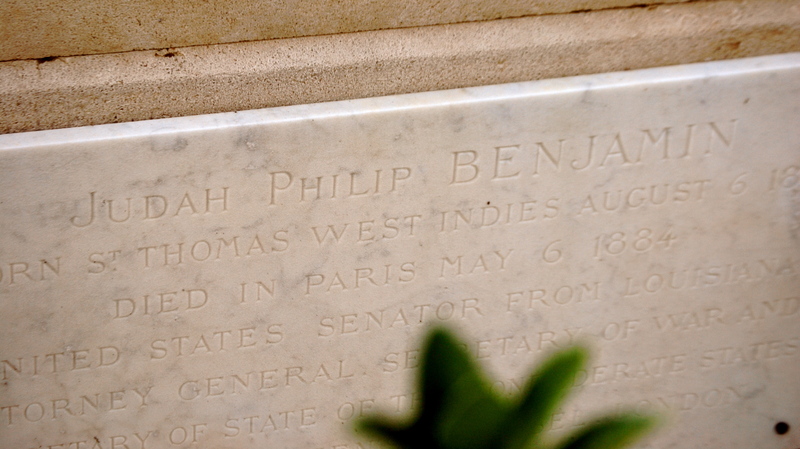 Benjamin was born a British subject in 1811 in St. Thomas in what is now the Virgin Islands and immigrated to North Carolina as a child, where his family became American citizens. 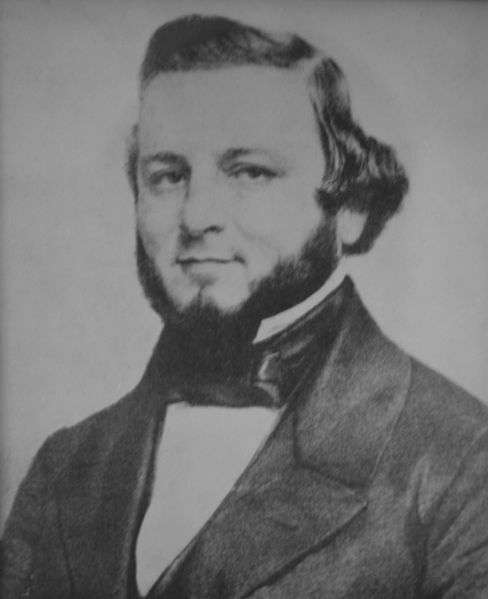 By 1824, his parents had moved to Charleston, South Carolina, where his father was instrumental in forming the first Reform Jewish congregation in the United States. As a young adult, Benjamin moved to New Orleans, where he learned French and became a lawyer. After a meteoric career in Louisiana politics, he was offered and declined an appointment to the U.S. Supreme Court, where he would have been the America’s first Jewish Supreme Court justice, accepting instead an appointment by the state legislature as one of Louisiana’s U.S. senators. After Louisiana’s secession in 1861, Benjamin served as the Confederacy’s first Attorney General, then acting Secretary of War, and finally Secretary of State. After the defeat of the Confederacy in 1865, Benjamin escaped to the Bahamas and then to England (the only high-ranking Confederate official to escape capture and trial for treason). He pursued a lucrative legal career in London and was appointed Queen’s Counsel to Queen Victoria. After his retirement in 1883, he moved to Paris to live with his daughter Ninette, where he died the following year. From Benjamin’s gravesite, we move north along the Avenue Circulaire to the northeast corner of Père Lachaise, and turn left for a short walk to the 94th division. 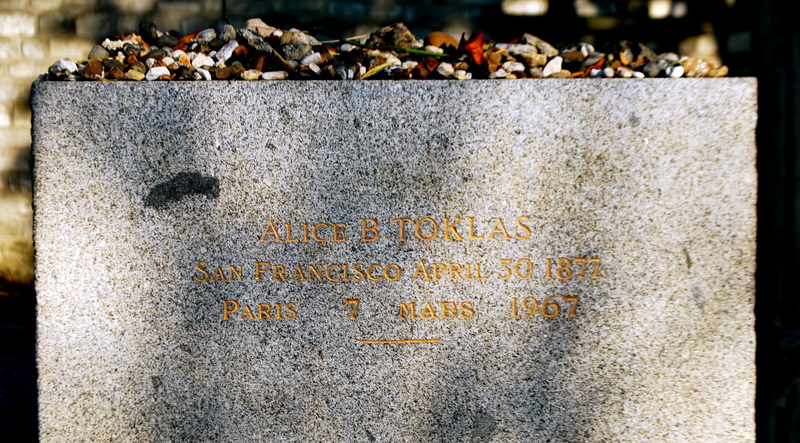 Stein met Alice B. Toklas on Alice’s first day in Paris. It was the beginning of a love affair that lasted almost forty years. 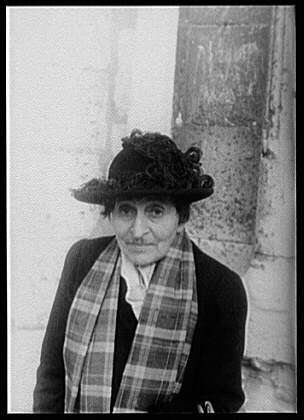 Toklas was known for her role as Stein’s “wife”—as described by Hemingway—and was the subject of Stein’s best-selling 1933 novel, The Autobiography of Alice B. Toklas. Stein and Toklas remained in France during the Second World War, staying in a country home in the Rhône-Alpes region. Although both Stein and Toklas were Jewish, they evaded persecution, possibly due to a close relationship with a member of the Vichy regime. (Stein has been criticized for her conservative political views, including praise for Spanish dictator Francisco Franco and Field Marshal Philippe Pétain, head of the Vichy regime.) Stein died in Neuilly-sur-Seine in 1946 of inoperable stomach cancer. 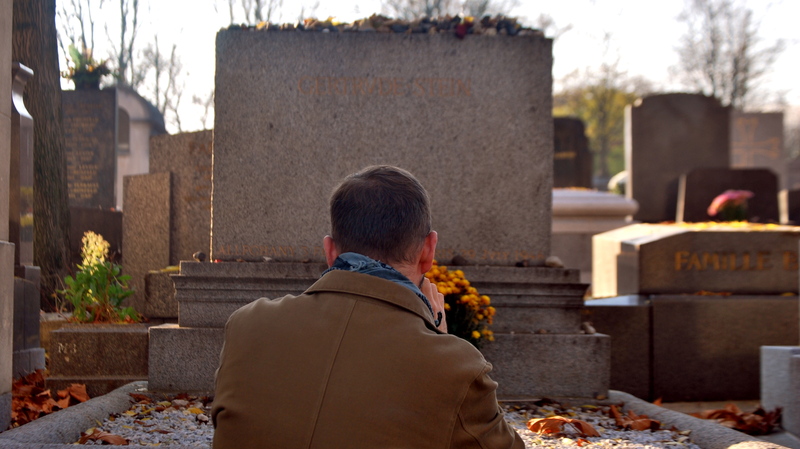 Toklas died in 1964 and is bured beside Stein; her name is engraved on the reverse side of Stein’s tombstone. 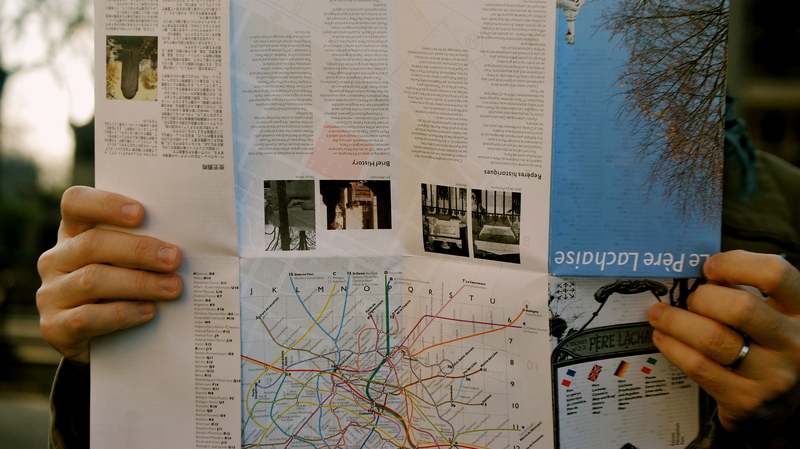 Retracing my steps from Stein and Toklas’s gravesite, we come to Père Lachaise’s crematorium and columbarium, the resting place of American writer, Richard Wright. 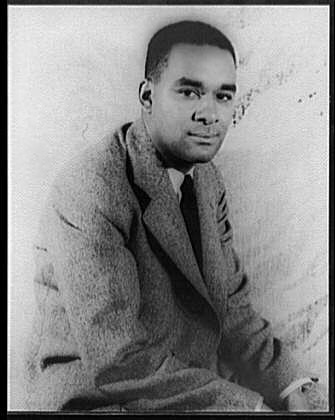 Wright is best known for his seminal work, Native Son, the controversial story of Bigger Thomas, a young African-American living in poverty on Chicago’s South Side in the 1930s. The novel is the story of Bigger’s descent into a life of crime, his capture, and his punishment, viewed as the inevitable result of systemic racism and societal conditioning. With his earlier novel, Uncle Tom’s Children, and his later works, Black Boy (a semi-autobiography) and The Outsider, Wright’s writings helped to redefine the discussion of race relations in America by focusing on the social conditions imposed upon African-Americans by the dominant White society. Wright emigrated to Paris in 1946, where he remained for the rest of his life. While in Paris, he befriended French writers Albert Camus and Jean-Paul Sartre and American expatriate James Baldwin. Wright’s Paris years were marked by what some critics described as an alienation from his Black American roots, and his later works (The Outsider, for instance) were not as warmly received. Nevertheless, Wright remains one of the most influential African-American literary and political figures of the twentieth century. Wright died from a heart attack at the age of 52, and his ashes are interred in niche 848 of Père Lachaise’s columbarium. A short walk away, one can find niche 6796, the final resting place of Isadora Duncan, widely considered the creator of modern dance. 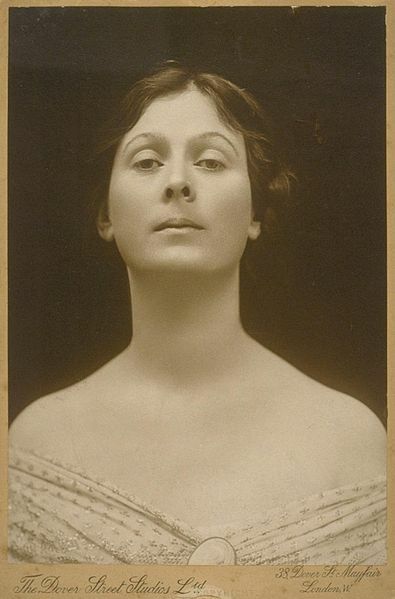 Born in San Francisco in 1877, Duncan started her theatrical career in New York in 1895, but she became disillusioned with the form and structure of the theater company, and moved to Europe in 1899. She eventually settled in Paris where she opened a dance school. Her method emphasized improvisation and emotion over traditional ballet forms. Her revolutionary style gained her renown in Europe, though she was relatively unrecognized in the United States until much later in her life. A sympathizer of Communism, Duncan immigrated to the Soviet Union in 1922, but after two years of unfulfilled promises from the Soviet government to support her work, she returned to France. Duncan’s personal life was a turbulent one. 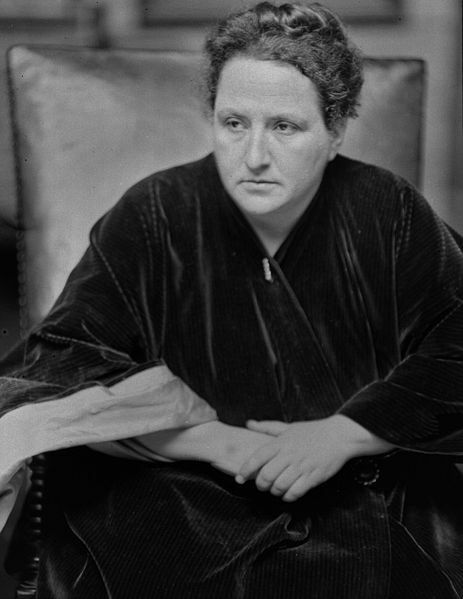 She lost her two children in 1913 in a tragic automobile accident in Paris, had a series of intense but short-lived relationships with both women and men, but married only once, to a Russian poet whose alcoholism was marked by violent rages. Duncan’s own alcoholism became notorious, as did her financial woes. Even her death was a violent tragedy: while riding through the city of Nice in 1927 in an Amilcar racing car with a boyfriend, her long, flowing scarf became entangled in the wooden spokes of a rear wheel, wrapped around the rear axle, and broke her neck. While Duncan’s life was short and tumultuous, her legacy to the world of dance was tremendous. Her rejection of classic form in favor of natural movement and emotional expression was the foundation for what would become modern dance. Finally, we come to Josephine Baker. 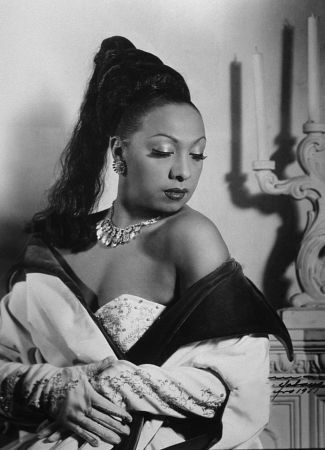 I think almost everyone knows who Josephine Baker was: the beautiful singer, dancer, actress, and civil rights activist whose career took her from the United States to France, where she became a sensation. She died in Paris in 1975 and was accorded full French military honors in recognition of her assistance to the French Resistance during the Second World War and is buried in a cemetery in Monaco. 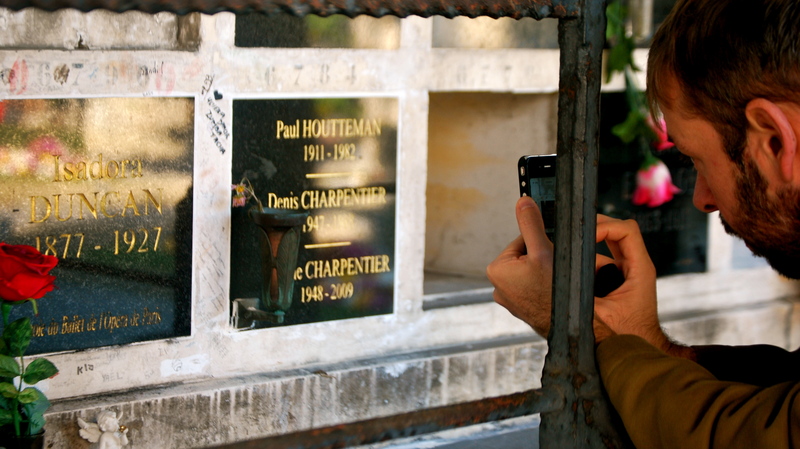 So … why is she in this blogpost about Americans in Père Lachaise? Well, it just so happens that there is a mystery surrounding Baker’s final resting place. While there is very clearly a tomb in the Cimetière de Monaco in Monte Carlo that is marked as hers, there is also an unmarked tomb nestled somewhere among the many graves of the 96th division that also attracts attention as her final resting place. This tomb, needless to say, does not appear on the map of Père Lachaise that tourists buy at one of the three entrances to the cemetery, but that doesn’t stop them from locating it and covering it with tokens of respect for this great lady. Is it just a shrine established by her Parisian admirers after her interment in Monaco? Did the family secretly move her remains back to Paris and place them in an unmarked grave? If it’s not her grave, whose is it? We spent at least twenty minutes zigzagging through the acre of tombstones that is the 96th division searching for the tomb, guided only by the photo above from a website we had found, but to no avail. It seemed the mystery of Josephine Baker’s mystery tomb would have to wait for yet another day at Père Lachaise. 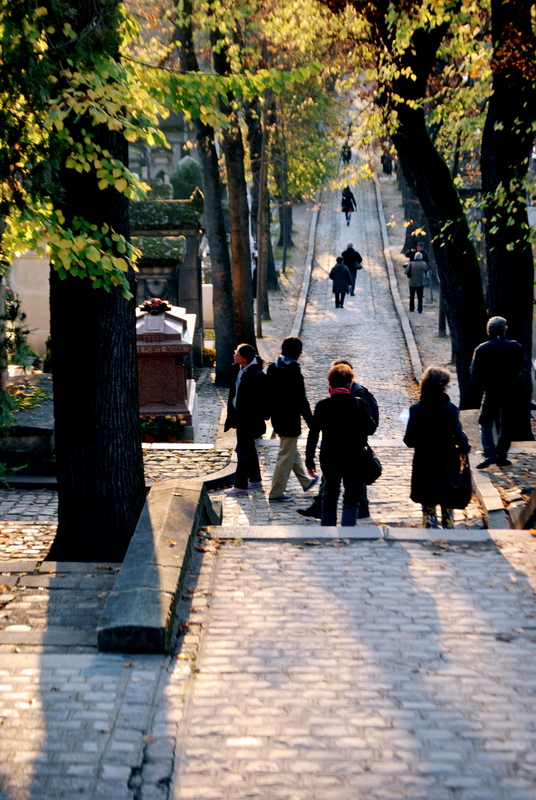 But that’s okay, because Père Lachaise is the kind of place where you want to keep something for another day … and another story. Tu as raison, Père Lachaise est véritablement un musée en plein air d’autant plus qu’il y a plusieurs de personnes connus qui sont enterré là. Moi, j’y vais pour réfléchir. Maybe I missed something, who was the 8th person? The 8th was me, of course! 😀 Yes, I only had time for the seven I mentioned here (seven, if we count the mystery grave of Josephine Baker). You excluded Patrick Kelly, very successful and well-known fashion designer. There are many that I didn’t include. I didn’t exclude anyone in particular — I only had time to highlight the ones I mentioned here. I hope you enjoyed the article.